Your time is very important to us. We will do everything in our power to have you in-and-out on time. Likewise, we ask that you respect our time, and the time of other patients. If you are scheduled for an appointment and need to reschedule or cancel, we require 48 hours notice. Late cancellations and missed appointments do not allow sufficient time for us to offer your appointment time to another patient. Short notice cancellations may be charged a $50 broken appointment fee. Payment is due at the time of service. Patients with dental insurance are responsible for their deductibles and co-pays. We offer application assistance with Care Credit or you can apply online at carecredit.com. Dental insurance is an agreement between you and your insurance company. If you have dental insurance, we will happily assist you in submitting dental claims and determining estimates of coverage. Patients are ultimately responsible for payment regardless of insurance reimbursement. Alpine Family Dental is a child friendly practice. Most of our team members are parents themselves. We usually start seeing children around 18 months. The initial appointment is a “happy visit,” which familiarizes children with the dental office. Dr. Eller will perform an exam if the child is compliant. We check for normal tooth development, health of teeth, and examine oral tissues. We also educate parents on age-appropriate homecare. 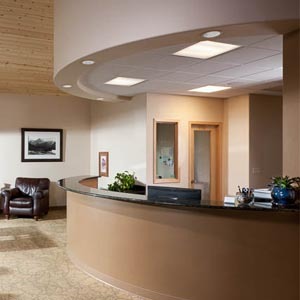 We strive to provide an upbeat comfortable office environment. Sometimes children may be uncooperative for numerous reasons. We do not want young children to have negative dental experiences. Therefore, we usually suggest uncooperative children seek treatment from a pediatric dentist. Appropriate referrals will be made with the consent of parents. We ask that you refrain from bringing small children to your dental appointment. Children can interfere with our ability to provide you with timely comprehensive dental care. If you must bring your child along to your dental appointment, we kindly ask that your child be well behaved and not left unattended in the waiting room.